Generally, MWF, the first appointment could begin at 11:00am, and the last session at 6:00pm. T & Th, the first could begin at 9:00am, and the last at 6:00pm. Saturdays, between 9:00am and 3:00pm. However, since all my sessions are by appointment only, and there are different session lengths, the easiest way is to check out my availability on my scheduling page. If you have any questions, please call at 904-274-1584, or send me an email. 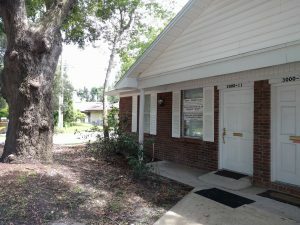 The address is 3000 Hartley Road #11, Jacksonville, FL, 32257.